Whew! Another Readathon in the bag. My last update yesterday was in Hour 12 because we had some surprises around that time that took me away from reading for the evening. The big excitement of the evening, and fun it wasn't, was when I tripped on a dog bed and fell ON one of our little dogs. He's fine, but we did take him to the vet for an x-ray to make sure his back was ok (weenie dog). Between that and some veryyyy late night/early morning hosting duties, I was done reading. Alas, I finished about 150 pages in The Quick and Warm Bodies. Not as much as I'd hoped maybe, but it's rare that I get stuck in a long book during Readathon. I very much enjoyed it, so it's not a loss at all. I hope you're all having a great Sunday! I'm getting back to the books for #15in31. Glad the pup is ok- what a crazy weekend adventure that must have been! Just wanted to send you another HUGE THANK YOU for all that you & Heather do to make the readathon such a wonderful event. It's a tremendous amount of work - but I hope you know the tremendous amounts of happiness you're enabling. Thank you! Me too! It was a crazy weekend indeed. 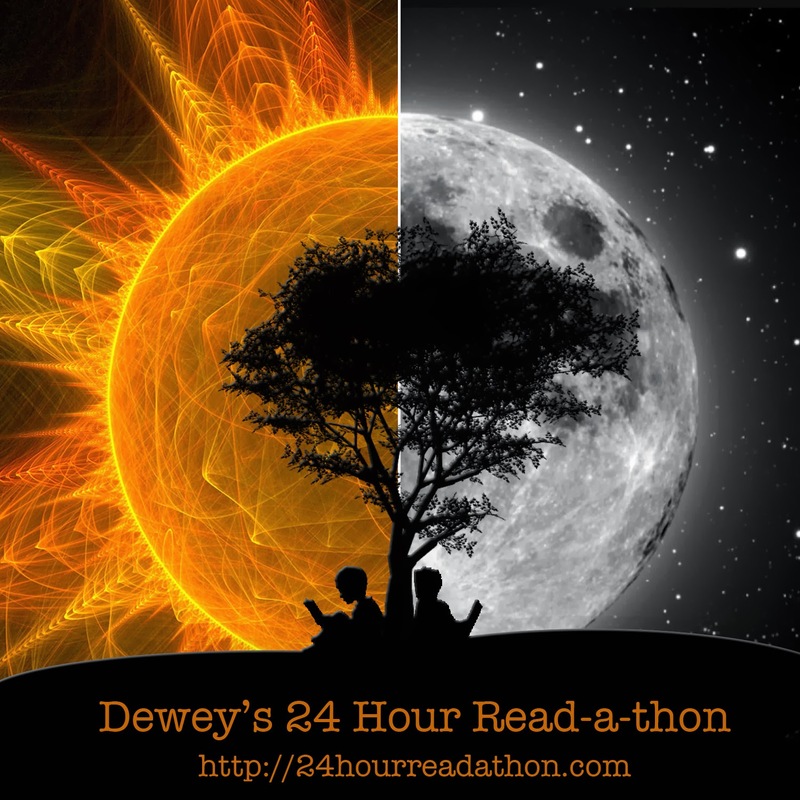 THANK YOU for being a part of the Readathon and hosting a challenge!!! Oh my stars, I'm glad both of you are okay! And you are amazing. I bow to the true Queens of Readathon, I'm merely your jester. Thank you, lovely! We could not be luckier to have you helping! I wish I could have participated - but I had fun reading all the updates. I wish you could've too! I've been tackling the reading since it ended. I am bound and determined to finish THE QUICK! It's huuuuge! Omg Andi! What a readathon adventure you've had! Oh no! Glad to hear you and the little pooch are doing ok. And you did a great job!! I didn't read as much as I wanted either, admittedly because I HAD to get out of the house to maintain sanity, but did finish one audio book! So that's something. I hope to be able to participate in April and be fully in it with no editing work, etc, bogging me down. Thank you! Go you for finishing an audiobook! Those take me FOREVER. Crossing my fingers for you joining us in April. Eek, glad your pup was all right! I wasn't officially signed up, but it turned out I was able to read! I read about 20% more of Dragonfly in Amber and was so excited. Glad the weenie is okay. Did I tell you we have a new weenie puppy? Naked Gatsby and he is a crazy ball of energy. I'm so afraid of tripping over him and squishing him as I stumble.